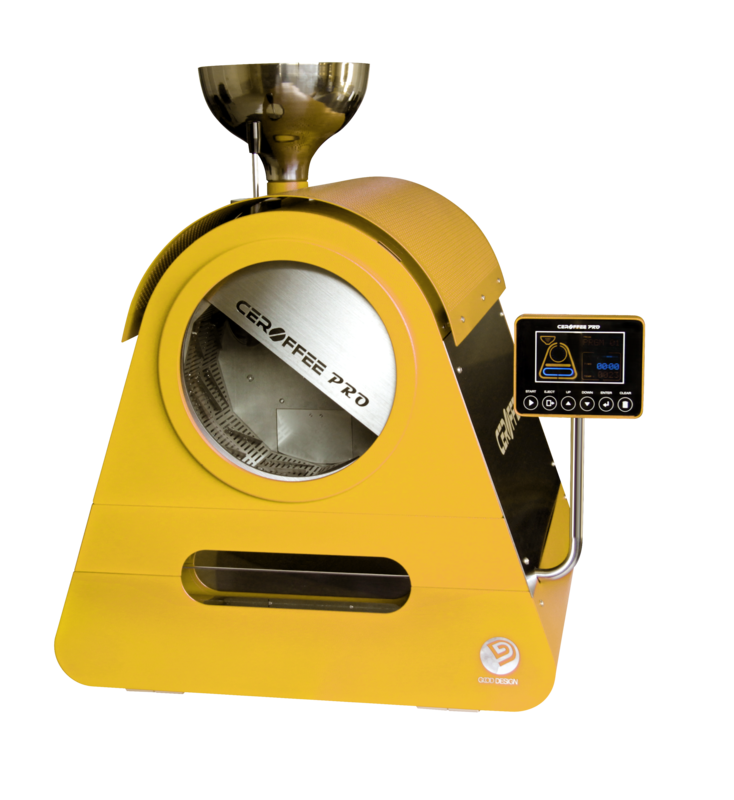 whether you're new to roasting or a professional roaster! 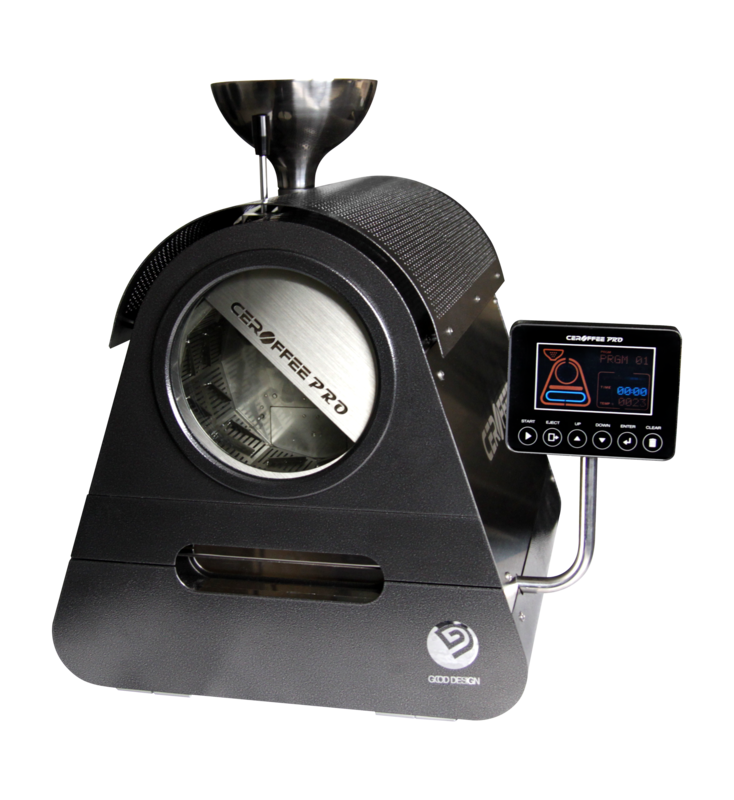 Full control over the bean temperature, time, and heater power during roasting. Side by side comparison of up to 3 profiles. A direct fired roaster using ceramic heaters. Uniform roasting through flat-plate ceramic heaters as a heat source for the first time in the world. Easy access to the inside of the drum & easy to clean the drum. Condensation tray that keeps CEROFFEE clean. Unique structure that prevents CEROFFEE from overheating during consecutive roasting. Put green beans and press the start button then CEROFFEE roasts and cools down beans automatically all by itself. It is a DIY type machine that anyone can easily check and repair. Wireless control, monitoring, comparison analysis of profiles through CEROFFEE application. 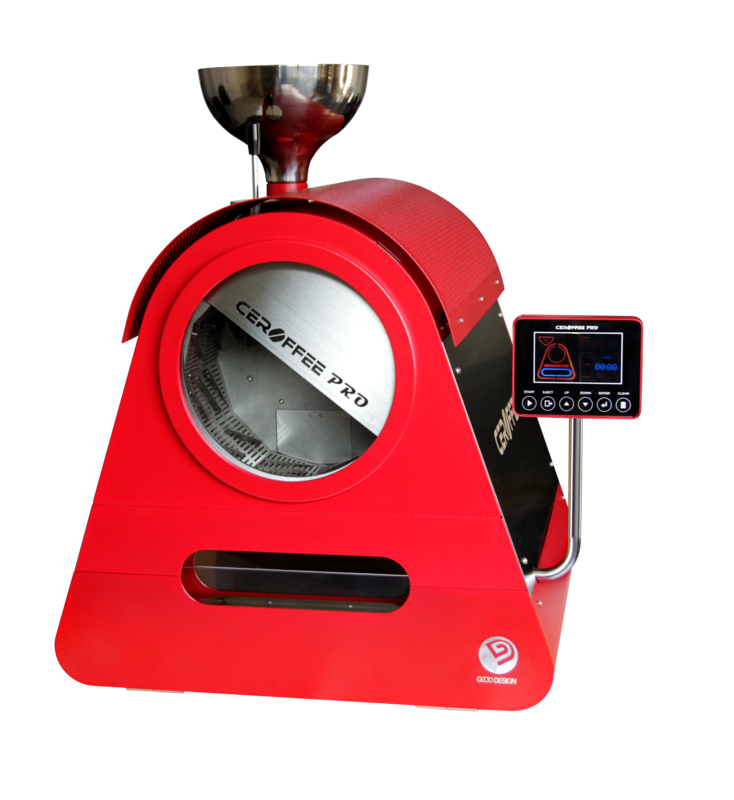 Outstanding reproducibility through accurate ceramic heater control based on the real-time bean surface temperature. Optimal and professional profiles available via QR code and market. Checking and testing CEROFFEE is available via CEROFFEE Check app; error code will be shown when a malfunction occurs and let you know where to check. Minimal electricity charge through high energy efficiency. Simple installation requiring no additional electrical and plumbing work. Attended World Roasting Championship 2015 as an official sponsor. Thank you for your interest and hope to see you again! 2015.5.15 | 지도 크게 보기 © NAVER Corp. If you have any questions or inquiries about CEROFFEE, please contact us.